This article was created in partnership with Sentry. Thank you for supporting the partners who make SitePoint possible. It can be difficult to write tests when product requirements are evolving. Are you sure your tests cover every option and pathway? Tests help, but the industry still releases software with bugs because it’s impossible to cover every eventually. Does a bug occur in a certain browser, on a particular OS, at a specific time of day? Multiple devices and applications. There’s a long tail of old, new, and obscure browsers across desktop PCs, tablets, smartphones, TVs, games consoles, smart watches, IoT devices, and more. It’s impossible to test everything. User control. Any user can choose whether to download, block or modify any part of your application. For example, Firefox will block Google Analytics when tracking is disabled; recording an Analytics event could cause the whole application to fail. Have you ever watched someone using your software? They always do something you never expected. I wince every time I see someone enter a URL into the Google.com search box. Humans are adept at finding their own methods to complete tasks based on previous experience. Those processes may or may not be efficient, but they’ll rarely match your expectations because your experiences are different. A bug may occur because a sequence of tasks is tackled in a manner that seems illogical to you. Additionally, the majority of users will never report a bug. They won’t know whether the fault occurred in your app, the browser, or the OS. Many may blame themselves, will not know who to contact, or simply switch to a competing product. Users who do report issues will rarely be able to describe the problem unless they have software engineering expertise. It’s frustrating to be faced with dozens of “ProductX doesn’t work” issue tickets. Ultimately, should we rely on customers to report problems? How do you log errors that are completely unexpected? Will the logging code still run if your application fails? How do you log errors in environments outside your control, such as a browser? A single error could be logged tens of thousands of times after deployment. Identifying critical flaws amongst known problems can be difficult. 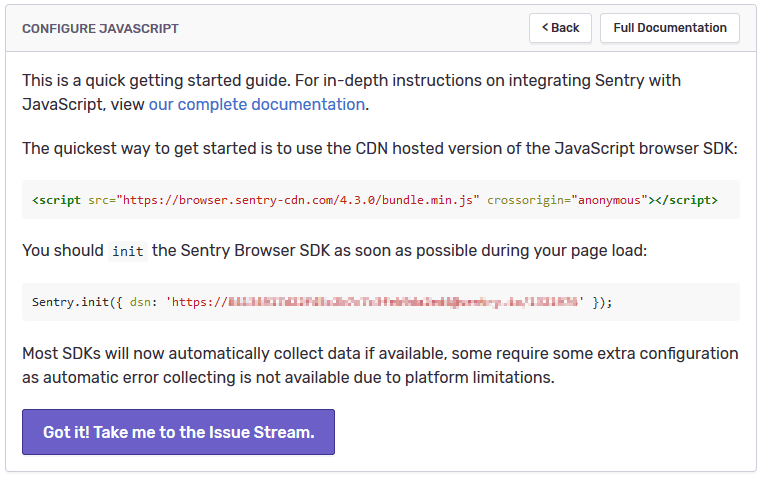 Fortunately, Sentry.io provides a logging-on-steroids solution which can capture the most obscure problems. 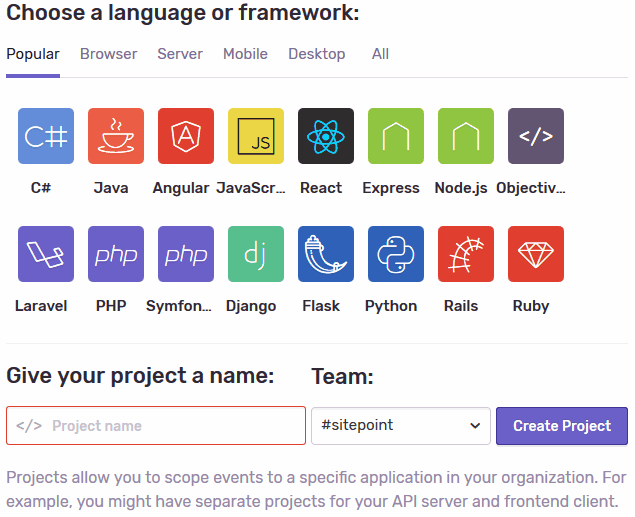 Sentry.io developer accounts are free with commercial options for larger teams generating thousands of events across multiple projects. You can sign-up quickly using a GitHub, Azure DevOps, or Sentry.io account. 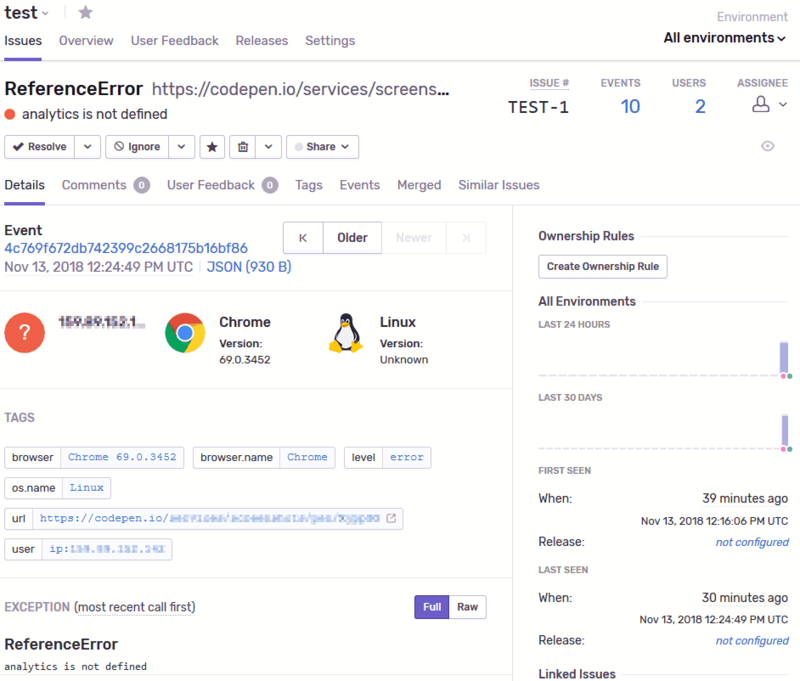 You may need to set-up multiple monitors to detect issues in your application’s browser UI, mobile app, and back-end server at the same time. configuration settings to define release versions, code repositories, server names, URLs, etc. commercial and community support options. Sentry.io is logging more than 20 billion errors per month (mostly from my code!) Developer accounts are free and include 5,000 errors per month. Employ Sentry.io as the newest member of your Q&A team today!